It’s all about drama , instyle wedding cakes. These hand crafted, sculpted sugar flowers are one of a kind creations of Donna Joy. 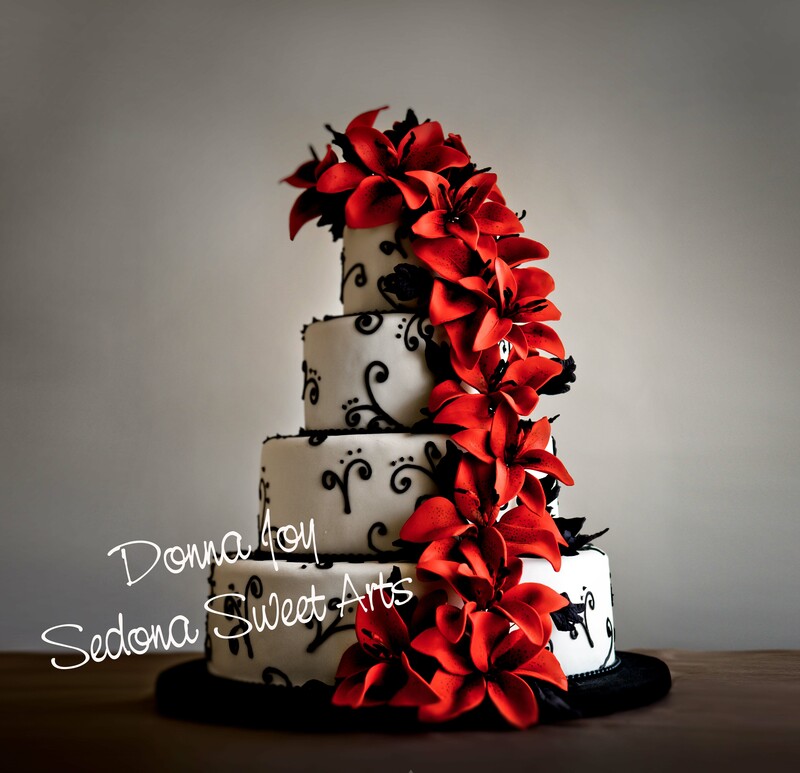 Pastry Chef & Culinary Artist of Sedona Sweet Arts. Donna Joy’s passion is creating this one of kind beauties for her Brides and Grooms wedding cakes. Visit Sedona Sweet Arts for more of Donna Joy’s creation.